The road trips have started again and this past week I was out in Northglenn, Colorado for a very fun shoot! Rescue Experience: Colorado was a two day training event that was put on by a client of ours. 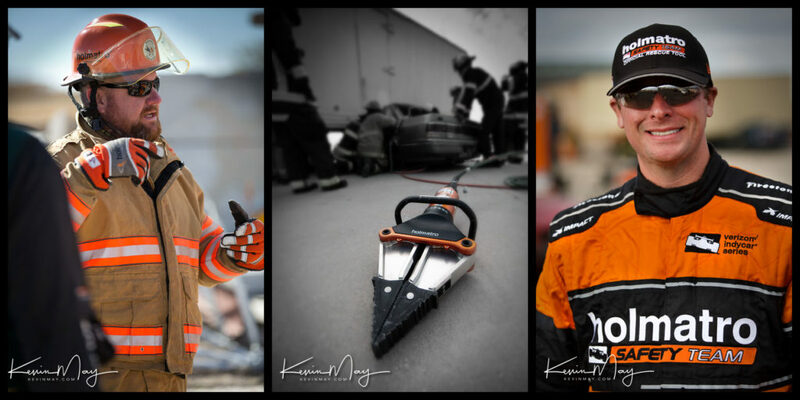 Unless you’re a first responder or a fan of IndyCar racing, you’ve probably never heard of Holmatro, but they are the cat’s meow when it comes to hydraulic rescue equipment. If you’re not sure what hydraulic rescue equipment is, think the “jaws of life” when people are in car accidents and need to be extracted from a crash vehicle. The first responders that went through the Rescue Experience had a little classroom time to start the day and then they were put through their paces in some realistic scenarios with the instructors. The big takeaway that the students learned was to think differently about how they might rescue victims in a timely and safe manner using the different tools that Holmatro makes and to use them properly. It was fascinating to see how the different teams would work together on these scenarios to make these rescues happen so quickly and safely for all involved including the other first responders. On a personal note, one of the instructors was Dr. Andrew Stevens and for me as a big IndyCar fan, I’ve heard his name mentioned numerous times over the years when a racer would be injured in a crash he would be the attending physician. In my promo photos, Dr. Stevens is the gentleman on the right side of the photos in the orange Holmatro fire-suit. I’ve got a few of my snaps from the Rescue Experience and at some point I’ll also be editing a video from the event as well. Thanks as always for taking the time to check out our work and we hope that you have a great week to come!!! Wednesday morning greetings to one and all! The big news that I’m sharing today is that a week ago Monday I passed my FAA Part 107 test to become a certified drone pilot! For a person that would like to fly a drone commercially, you have to pass this test in order to be certified by the FAA, so it’s a big deal to be legal when you are flying for commercial work. For a hobbyist that would like to have a small drone and fly around in the park, you don’t need this certification, but you do have to follow some rules that the FAA has put forth. To fly legally for commercial purposes, you’ve got to study and pass the test. Mind you it’s been about 40 years since I’ve had to study for a test, so my brain wasn’t wired for all the things that you have to know to pass the test. I probably spent about 12 hours watching some videos and also going over study guides with information from reading weather reports to knowing how to read aeronautical sectional charts for the US. I took the test over in Bloomington, Il. and it took about an hour and half to complete. The good thing is that they give you the results right away and I passed with an 83% score and needless to say I was super happy about that! The certification is good for two years, so I’ll have to take it again down the road but at least I know what to study and how the testing process goes! We’ve hit the time of the year in the Midwest when the weather is really nice and you’ve got to get out and enjoy it before winter hits! Having the cooler temperatures and lower humidities is so wonderful and it’s great to get out and drive around in farm country. Jan and I took a little trip up to Bishop Hill, Illinois and took a few photos along the way! The fun thing that we did on this day trip was to not use any of our camera gear and just use our iPhones. These phones have gotten so good that you can take some really good photos with your phone. 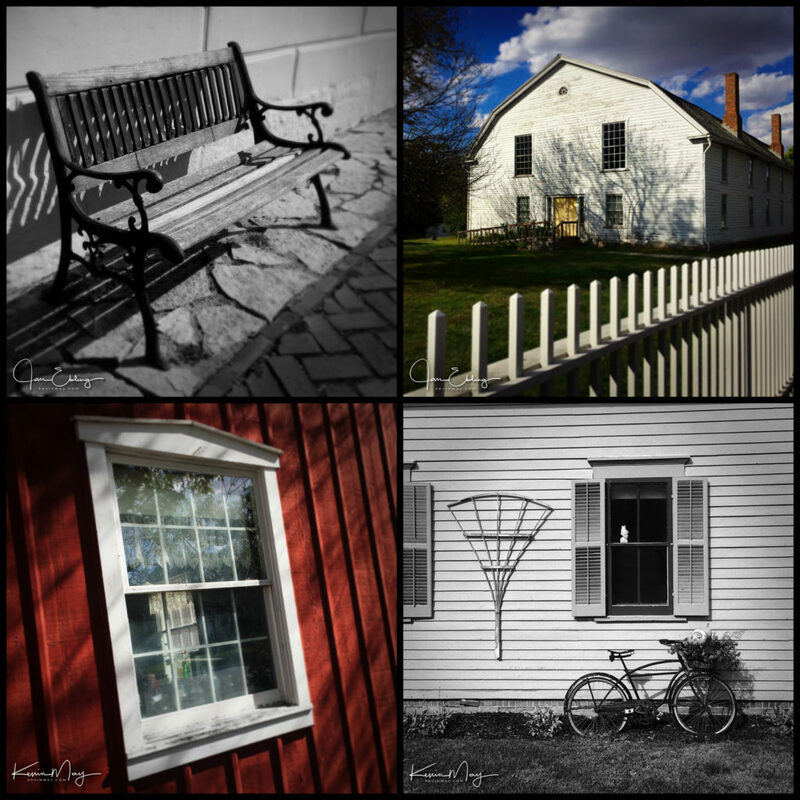 For us it’s fun to see what you can create with just a camera phone! Here’s a couple of our snaps from an afternoon spent at Bishop Hill.